EGLIN AIR FORCE BASE, Fla. — The 53rd Wing activated on May 11 the F-35 Partner Support Complex, a U.S.-owned facility here that handles F-35 Lightning II testing. Robert Kraus assumed the new position as the complex’s director, making it the first civilian-led unit in the wing. 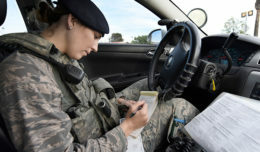 Kraus, a retired lieutenant colonel, served as the 68th Electronic Warfare Squadron commander and 53rd Electronic Warfare Group deputy commander at Eglin Air Force Base prior to this new position. The F-35 PSC is charged with providing mission data, intelligence support, lab facilities and training to the eight partner countries purchasing the fifth-generation aircraft. “The growth of the PSC will relieve that pressure, as well as ensure our coalition partners are ready to participate in any future operations,” Kraus said. The partner countries include Australia, Canada, Denmark, Italy, Norway, the Netherlands, the United Kingdom and Turkey. These countries provided critical design input and funding during the early stages of the F-35 program, which differs from foreign military sales customers. “The PSC will directly support the partners, who currently have no indigenous capability to create mission data for the F-35,” Kraus said. 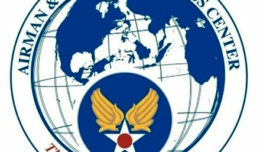 The complex will interact with mission data programmers and data analysts from the partner nations. According to Kraus, one of the key projects for the unit is to support the partners in the creation of two separate hardware in the loop testing facilities — only one currently exists. The F-35 PSC started as a small team within the 513th Electronic Warfare Squadron at Eglin AFB, which provides F-35 mission data files to the Air Force, Navy and Marine Corps. The team staffs 24 civilian employees and contractors, with plans to grow to about 100 personnel. The new unit will report to the 53rd EWG. While the mission of the complex has been ongoing for nearly five years, Kraus sees the formalization of the unit as a step forward. Plans are in the works for two separate buildings to hold the new unit and partner nation personnel. This includes the Australia/Canada/United Kingdom Reprogramming Laboratory building and the Norway/Italy Reprogramming Laboratory building. Additional support will be provided to Denmark, the Netherlands and Turkey.